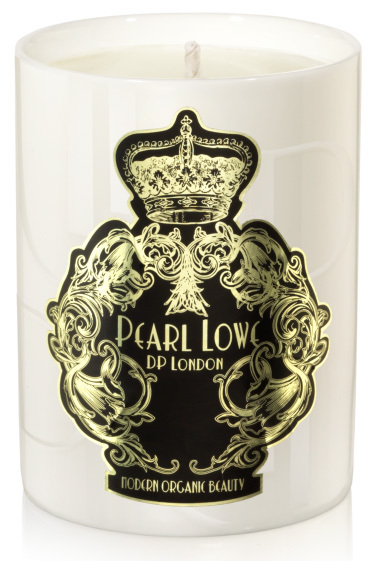 DP London has worked in collaboration with British designer Pearl Lowe to create a limited edition range of beautiful elegant candles. 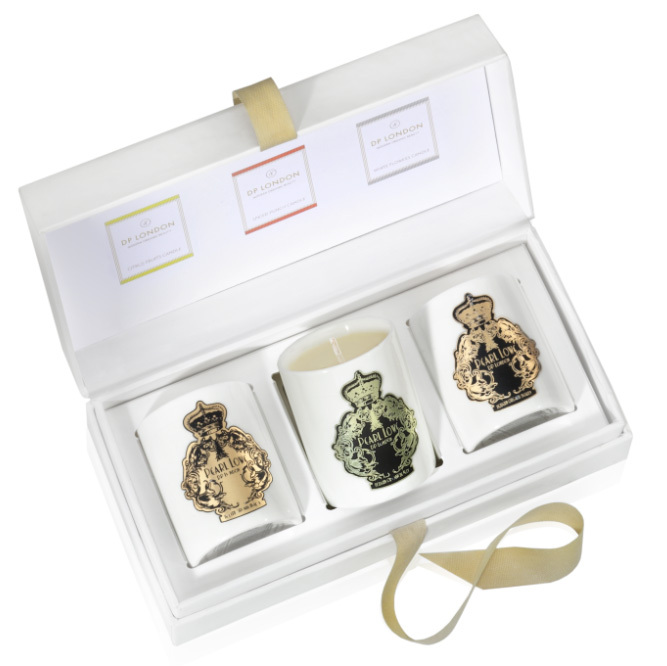 The candles come in the 3 iconic fragrances, Spiced Punch, White Flowers, Citrus Fruits. The candles are made from 100% natural wax and are friendly on the environment and your health. The special blend of beeswax contains a sustainable beeswax and EcoSoya blend with an organic aroma. DP London are also proud to say their candles do not contain Palm oil which, a product which contributes to deforestation. The candles come beautiful presented in a re-useable handmade Japanese porcelain container. I love candles and love the way they make you feel and how they effect your mood, I find them really relaxing and love burning them of an evening and snuggling up on the sofa with a nice mug of Hot Chocolate and a good book! Looking at the design of the candles I find myself drawn to the elegant vintage style print, the crown which sits at the top of the label finishes off the look of a classic chic candle which is certain to stand out in any home. The heavenly smell of exotic Jasmin, the purest Moroccan roses and sweet Orange Blossom in bloom. A warm citrus blend of Sicilian lemon peel, juicy orange combined with the fresher, green citrus notes of Italian bergamot and a spicy mouth-watering twist of root ginger. What do you think of the Limited Edition Collection?